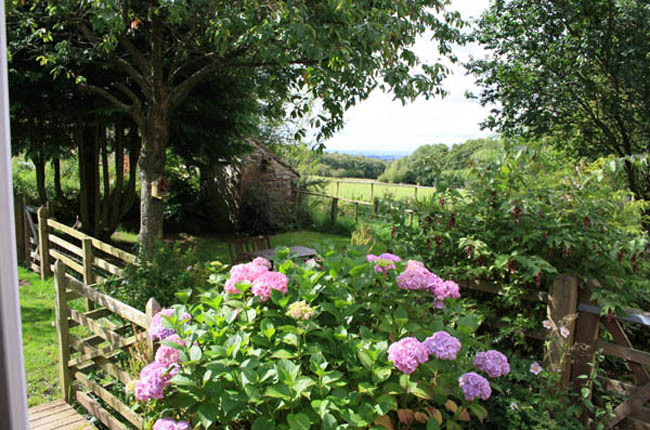 Wallace Lane Farm offers excellent bed and breakfast holiday accommodation in its farmhouse on a beautiful 23 acre smallholding situated in one of Cumbria's most fantastic locations with superb views. Close to the one of the Lake District's most beautiful villages: Caldbeck, with its village pub and tea rooms, lovely riverside walks and range of interesting shops and craft works. 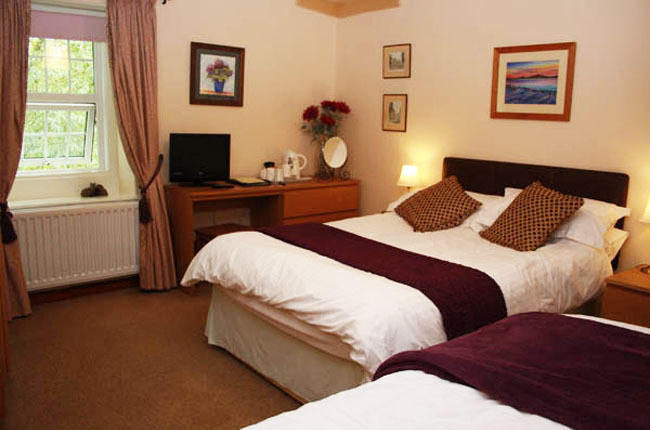 We are within easy drive of the main Lake District attractions including Keswick, Cockermouth, Carlilse and Hadrian's Wall. We have three guest bedrooms: two double rooms with en-suite and a large family room sleeping up to 5 people with a large private bathroom. All rooms have tea/coffee facilities as well as flat screen TV/DVD. guest information packs and homemade cakes. 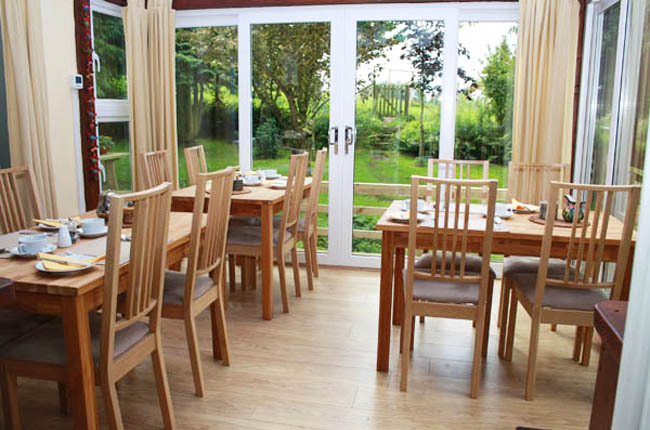 Our guests dinning room is housed in our new conservatory with a lovely view towards the Solway Firth, the sea and Scottish mountains. We serve breakfast, lunch and evening meals by arrangement. Please bring your own wine etc. Click to see our farmhouse breakfast menu. Click below to check availability, prices and book online. Click below to read reviews of Wallace Lane Farm Bed & Breakfast. 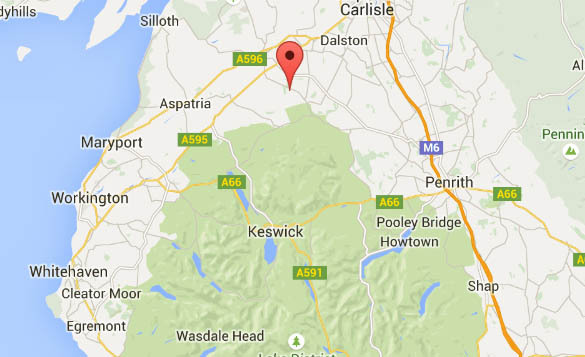 Click below to see the location of Nuthatch Cottage. To make an enquiry, use our contact form or use the contact details below. 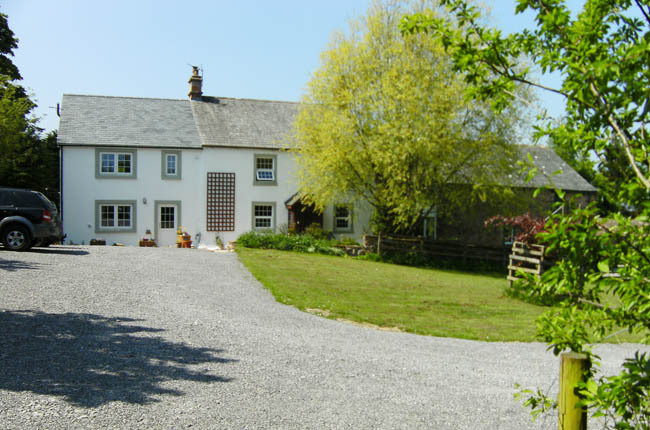 We welcome individuals, couples, families, business clients and small groups to our farmhouse bed and breakfast accommodation near Caldbeck in Cumbria. We are also pet friendly. 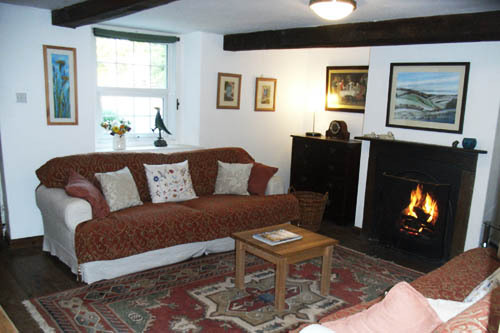 Guests will have access to a lounge with open fire; all rooms have TV and internet as well as tea and coffee making. 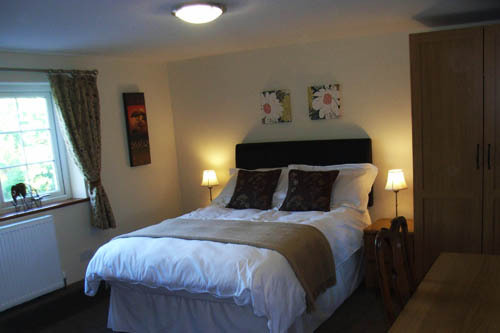 All room prices include a full Cumbrian cooked breakfast with Continental or vegetarian option. Evening meals can also be provided subject to availability. Please book in advance. Guests can use the facilities of the farm including parking, cycle storage, and washing and drying facilities for walkers, etc. We can also arrange pick up from the local station, etc. 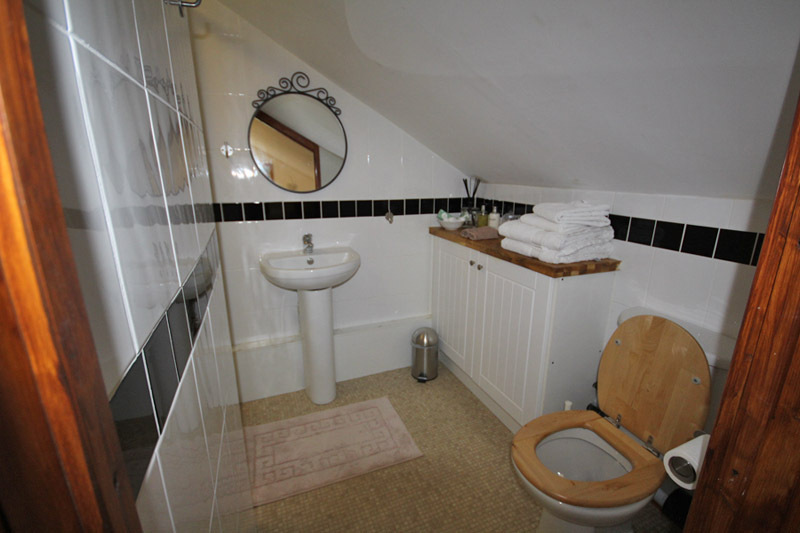 We have a total of three bed and breakfast rooms the first two are situated in the main farmhouse, they include a king size double room with en-suit shower room sleeping one or two guests. Secondly we have a small family or twin room on the second floor which has double and single bed sleeping one , two or three guests this also has an en-suit shower and W/C. We also have our latest refurbished room called Barn Owl Bothy, this is a self-contained room with a double bed plus a raised double bunk style bed this will sleep one or two adults in the double bed and one adult or two children in the raised bunk. This room has its own entrance has an en-suite bathroom with shower and W/C is equipped with a full basic kitchen, including 2 ring hob oven microwave fridge and all crockery and pans etc. it also have TV, Free WiFi dinning table sofas and easy chairs and outside raised balcony with seating and table. It also has its own carparking for one or two cars. 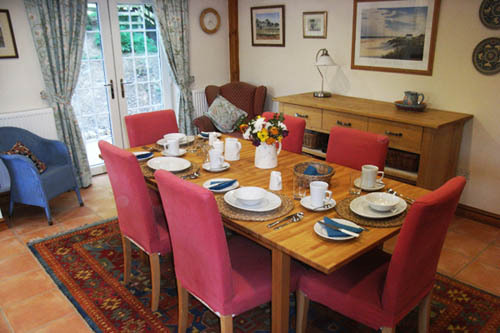 This room includes breakfast but can also be hired as self-catering if required. 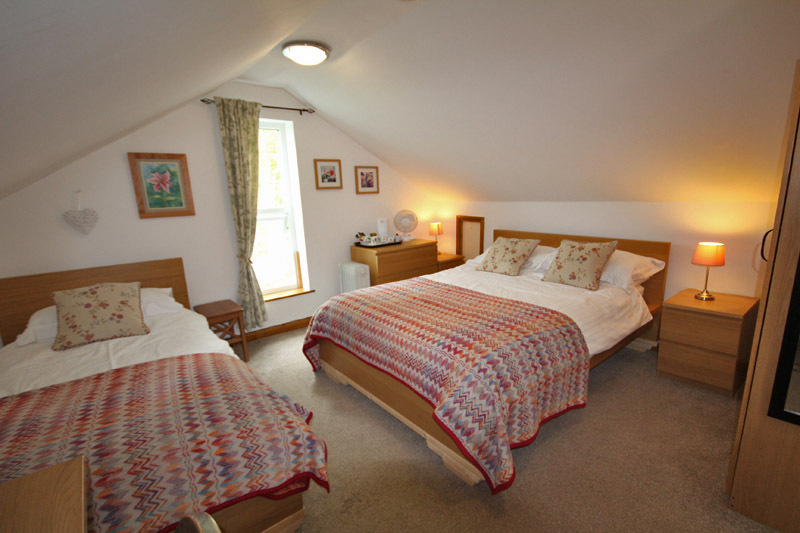 All our rooms can be let as single, double or triple occupancy and a cot can be provided in all room. Charges are as follows. You can book directly online or over the telephone, card payments accepted. Sleeps 1 to 4 people in one room with a double bed and two bunk beds, also with en-suite bathroom, plus full kitchen (for self-catering). 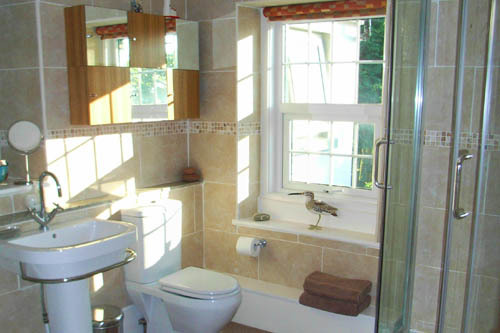 Sleeps 1 or 2 people in a king-size bed with en-suite shower room. 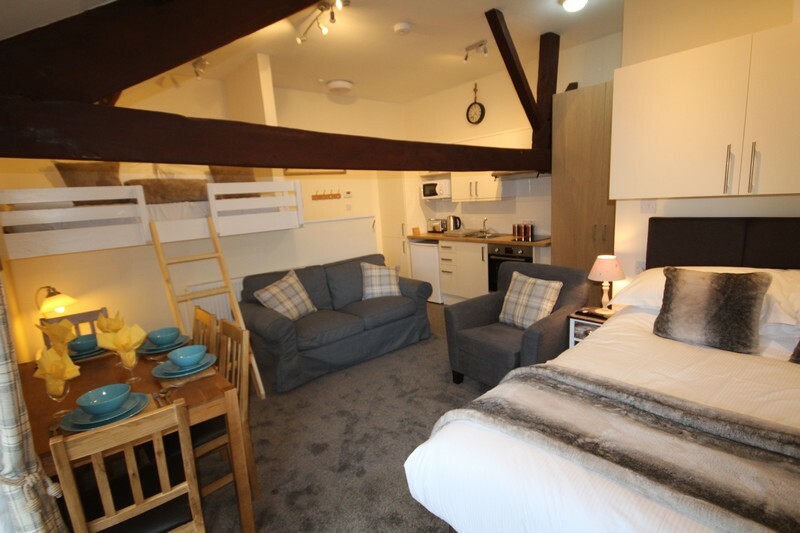 Sleeps 1 to 3 people with a double bed and single bed and en-suite shower room . Use the widget below to check availability and book online. 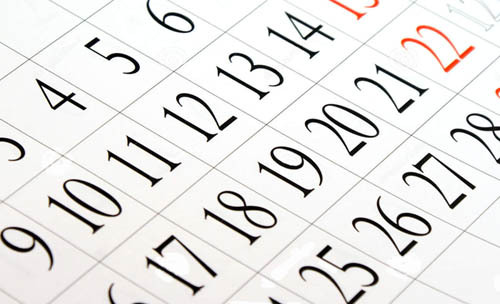 Enter the desired start date and the number of nights you want to stay. What our bed and breakfast customers thought. "Everything a farmhouse bed and breakfast should be and then some. Many Thanks." "Easily the best place we have stayed in England, lovely food, fantastic accommodation very comfortable, felt truly welcome." "Great accommodation, great food and great company, especially the awesome breakfast."